While many people talk about ion exchange, few understand the fundamental principles. Simply stated, ion exchange is the reversible interchange of ions between a solid and a liquid in which there is no permanent change in the structure of the solid. Of course, an ion is an unbalanced atom or molecule that has a positive or negative charge resulting from this imbalance. 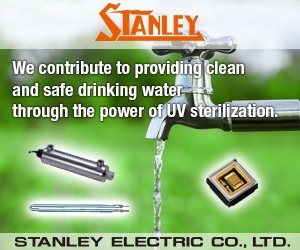 Ions in water (aqueous ions) are what we work with in the field of water quality management. 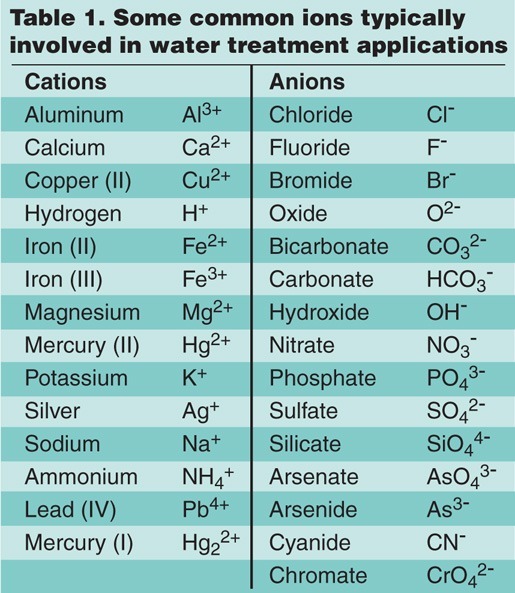 Aqueous ion exchange can involve anions or cations, depending on the contaminants to be addressed. 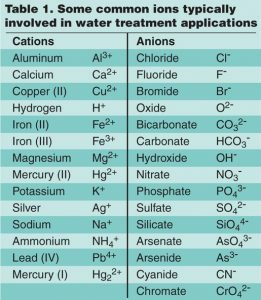 Table 1 lists some common ions that are typically involved in water treatment applications. The granular ion exchangers used in water treatment were historically referred to as zeolites and nowadays simply as resin when discussing synthetic ion exchange media. Natural zeolites exhibit unique porous structures and contain compounds of minerals that allow for true ion exchange to occur within their structures. These zeolites have been used in commercial water treatment for almost two hundred years and until the 1930s, were the only way to consistently soften water. Natural zeolites exhibit many unique behaviors at the nano-level and should not be overlooked in today’s water treatment applications, as we are only now discovering some of the benefits of these materials when properly deployed. For the purposes of this article, we will assume that the ion exchange media is a synthetic resin. 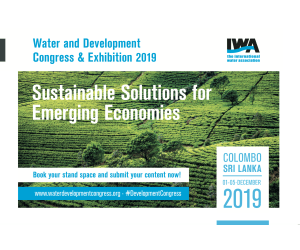 Ion exchange technology can be used in residential, commercial and industrial processing applications to soften, condition and even purify potable and wastewater. Entry-level applications include traditional salt-based softening and nitrate-removal applications, but there is so much more that you can do and there are great strides in operational efficiency and effectiveness to be achieved if you’re willing to take the time and effort to learn more about ion exchange technology. The key to understanding ion exchange is to emphasize the actual exchange process, where one ion is exchanged for another with the resulting byproduct(s) of exchange remaining in the treated water stream. Aqueous metallic ions are positively charged (cations); non-metallic ions are usually negatively charged (anions). Selection of resin for treatment, as well as the operating performance of that resin, depends on the concentration of contaminants in the water, including the resin’s relative affinity for the contaminants and their interfering factors. 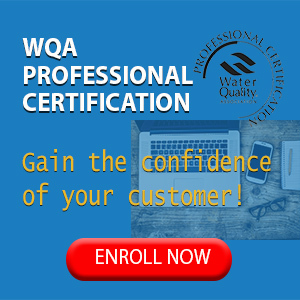 The word hardness is a common term describing the total amount of hard-water contaminants present in water. The term was colloquially used to describe certain waters that caused difficulty in using soap; i.e., this water makes soap hard to lather. Untreated hardness can not only result in increased soap consumption and the production of sticky soap curd/soap scum deposits, but also the accumulation of scale in piping, boilers, water heaters and even damage to water-using appliances. Hardness is commercially associated with significant reductions in energy efficiency, cleaning efficacy and appliance longevity, as well as interference with certain industrial processes. 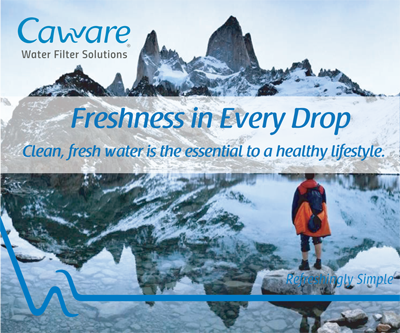 While many divalent and trivalent metallic cations can contribute to hard water symptoms, the most commonly referenced hardness contaminants are calcium and magnesium ions in water, expressed as calcium carbonate (CaCO3). Since the term ‘easy water’ sounds awkward, the term ‘soft water’ was coined to describe water that doesn’t exhibit the common hard-water symptoms. For most residential, commercial and industrial applications, hard water contains at least 1 gpg (17.1 mg/L) of calcium hardness. Even at < 17.1 mg/L, that low level of hardness will interfere with soap efficacy, leave spots on surfaces and scale on heat-transfer surfaces to some degree, but the amount of interaction is so very low that it is generally called soft by the industry. Strong acid cation (SAC) resin is used to soften water using sodium or potassium salt as a regenerant. 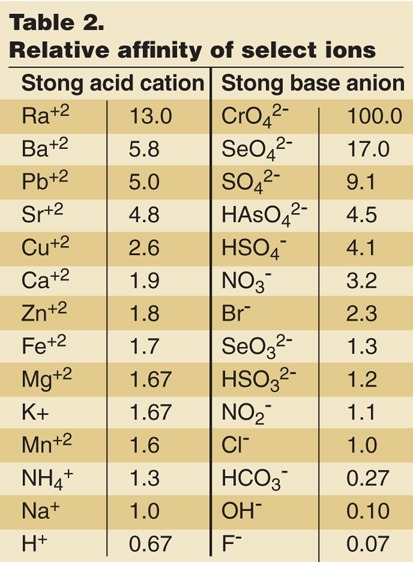 As you can see in Table 2, a typical SAC resin is highly attracted to heavy metals and less so to the regenerant ions (sodium and hydrogen), which is why we can deploy SAC so effectively in high-sodium waters and still be able to remove calcium (with some ionic leakage). The resin’s affinity varies with the ionic size and charge of the aqueous ion, generally favoring large, highly charged ions. During regeneration, a less attractive ion (such as sodium) is used to regenerate the resin and the only way it can force the entrained ions off the resin’s functional groups is because of its high level of concentration. This phenomenon is referred to as mass action. From a design perspective, we need to consider mass action carefully when calculating brine/rinse rates on high hardness waters and deciding on the injection system design, since drawing the brine solution through the resin bed too slowly can result in reversal of the regeneration reaction and cause contaminants to be driven back into the resin media. 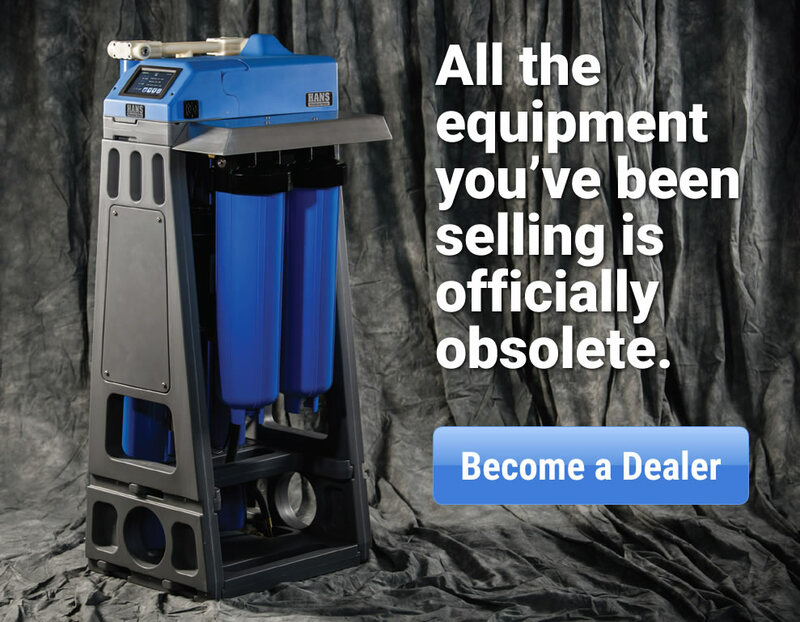 (I see this quite frequently where dealers try to use undersized equipment on water with high hardness, high TDS or where there are significant amounts of other interfering metallic ions in the water.) 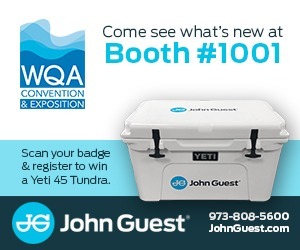 Remember that when working with cold water, one needs fast-acting, highly structured resin beds with as much uniform surface contact as possible to ensure uniform performance. 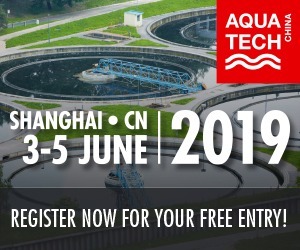 While the stable cation exchange reaction during water softening is very forgiving of operator error, you have a duty to your clients to minimize chloride discharge, backwash water usage, regenerant consumption and promote longevity of the system. 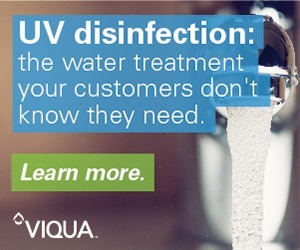 You can accomplish this by utilizing high-quality resins, advanced-control electronics and incorporating best-practices for regeneration efficiency, as well as protecting the media from oxidative damage. 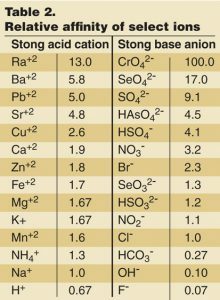 Referring to Table 2, we see the relative affinity of strong base anion (SBA) resin, which is the second-most popular resin used by dealers in the United States. 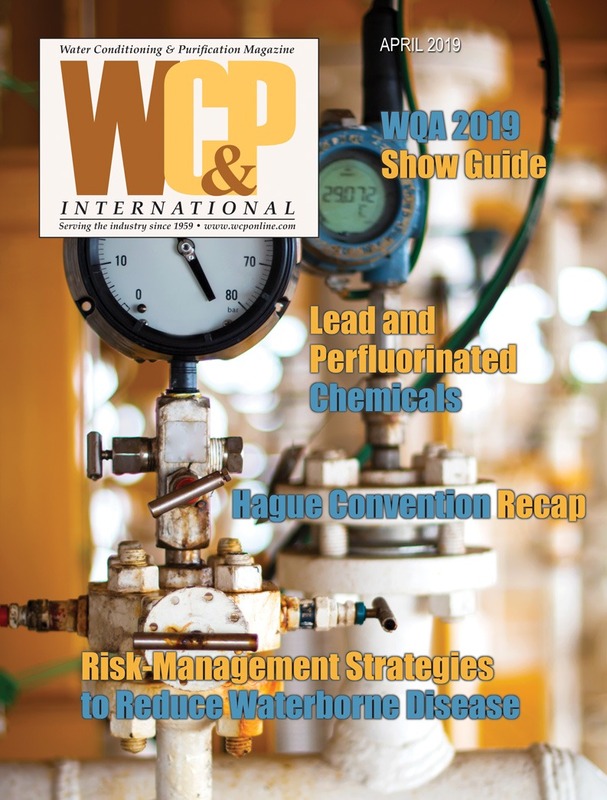 Many dealers have used SBA resin to address sulfates, nitrates and silicates in water, but all too often the rationale for use and an understanding of complicating factors in the water are grossly misunderstood. Unless specifically engineered to be selective for one anion over others, SBA resins are attracted to all the -ates in descending order by their molecular size and valence charge. The most frequent faux pas is using SBA for nitrate removal in sulfate-bearing waters and having the sulfate concentration overwhelm the nitrate-laden resin as it becomes exhausted. This will result in potentially dangerous dumping of nitrates back into the water. Look at the big picture in cases like this and either use a selective resin or properly calculate the impact of sulfates and silicates when attempting to address nitrates in water. This will enable you to calculate the true capacity of the resin during service, instead of merely its capacity for the one thing that you’re wanting to treat. SBA can also be used as an excellent organic scavenger for wastewater or industrial-process applications. Modern purpose-built macroporous SBA resins are highly effective at removing tannins from water. 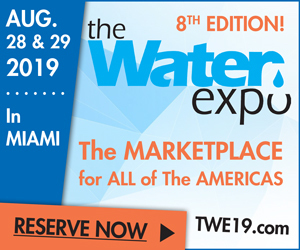 I encourage dealers to use tannin-selective resins as part of the treatment train when dealing with colored water issues involving natural organic materials, such as fulvic or humic acid compounds. Remember again that even though you’re addressing tannins, SBA ion exchange resin is attracted to other contaminants in the water, which means testing for them as well to ensure the system will work as expected. Type 2 strong base anion resin is less selective for general anions and is employed primarily in dealkalization applications while operating in the chloride form. When regenerated with acid, the resin will split alkaline salts, converting them to carbonic acid. This resin boasts extremely high regeneration efficiencies and usually receives its functional exchange capacity from carboxylic groups. Many low-pressure boilers worldwide are being effectively protected by the combination of a sodium softener and chloride dealkalizer. 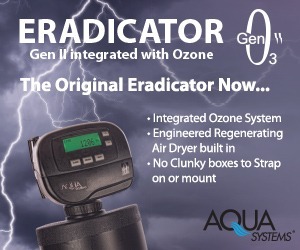 A properly designed anion dealkalizer can remove as much as 95 percent of the carbonate (CO32-) and bicarbonate (HCO3–) alkalinity, as well as 99 percent of the sulfates (SO42-) and nitrates (NO3–). A dealkalizer will yield substantially higher capacity when regenerated with both salt and caustic soda. 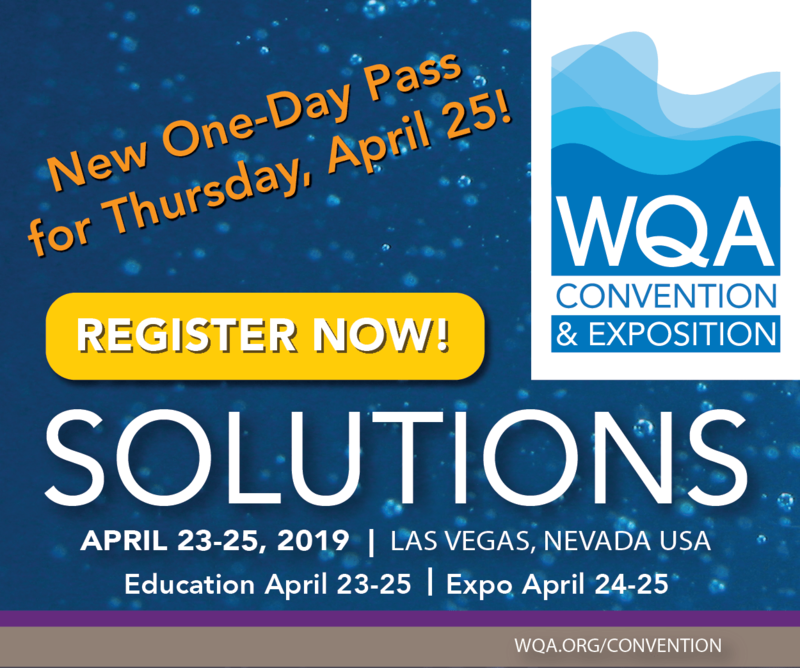 Weak acid cation (WAC) resin has a high selectivity for divalent cations such as copper and nickel (especially at neutral to alkaline pH levels), so it is naturally an excellent choice in wastewater applications as a cost-efficient alternative to chelating resins. WAC resins have the highest capacity of any currently known ion exchange material in the general marketplace, which makes it ideal for deployment in conjunction with an SAC resin to maximize performance and cost-efficiency. This high capacity naturally means that it both shrinks and swells significantly under various conditions of operation, so exercise appropriate caution if you decide to mix SAC and WAC in the same tank. One of the biggest mistakes made in the water treatment industry is thinking that all resin is the same. Even within a specific functional class, resins can be manufactured very differently and exhibit widely differing attributes of size, selectivity, porosity, kinetics and resistance to attrition. Where your resin comes from, which standards it was manufactured under, where it was stored and most importantly, how it is deployed, will have a drastic impact on the success of your projects. Take the time to learn more about the resins that you use and would like to use. Evaluate their sustainability cycle, best-practices for use and of course, buy from reputable distributors. Images courtesy of C.F. ‘Chubb’ Michaud and the Innovative Water Project.